The 21 DVDs in this set is as close as you can get to the live event. May God bless you as you view, listen and study with this set. THE ELEVENTH EXPERIENCE: To God be the Glory, GREAT THINGS HE HAS DONE. Camp meeting # 11 was an experience to be remembered. It was quite evidence that God was in full control of the entire event. Hearts was convicted of the truth as never before. Words cannot explain the experience. The 21 DVDs in this set is as close as you can get to the live event. May God bless you as you view, listen and study with this set. GET READY, GET READY, GET READY! 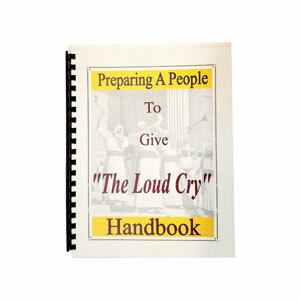 More valuable than Silver or Gold…These DVD’S are excellently produced and contain important and valuable information that will help prepare you for the crisis that is just ahead of us. Under Whose Banner Will You Stand? Be the first to get present truth news, health tips, and prophecy updates! Copyright Apocalypse Ministries. All rights reserved.